Caravans – don’t you just hate ‘em? Bloody pain to overtake when you’re on a long journey. But then there’s the Ruf Records Blues Caravan, on which three Ruf artists tour together, which is a rather more enticing proposition. And since I’m due to catch the 2018 edition in a few weeks, featuring Mike Zito, Bernard Allison and Vanja Sky, I reckoned it was time I boned up on their latest material. 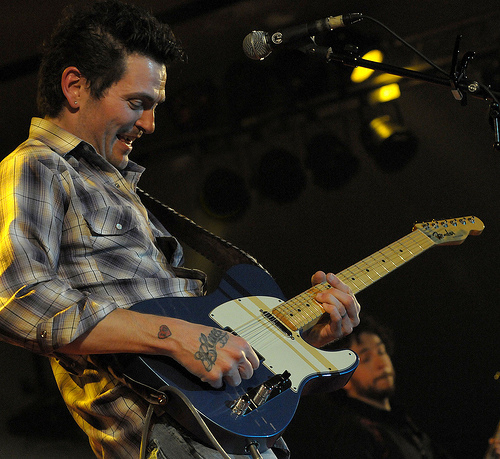 Mike Zito has been a go-to artist for me ever since I cottoned to his albums Gone To Texas and Pearl River, and my favourite album of 2015 was his Keep Coming Back, a rock’n’rollin’ affair chock full of great songs. This year saw him release First Class Life, and while it’s not Keep Coming Back it still has some great moments, not least on the guitar front, where Zito is on terrific form right from the gritty, slithering slide attack of opener ‘Mississippi Nights’. The centrepiece of the album is ‘Old Black Graveyard’, a moody, spooky number that’s the most intense offering here, built on a repetitive, undulating motif and long, haunting slide notes that eventually build into a squealing danse macabre of a solo. Other treats include the laid back ‘I Wouldn’t Treat A Dog (The Way You Treat)’, on which Zito shows off his relaxed way with something reflective, the swinging blues of ‘Dying Day’, with its strutting bass line from Terry Dry, and the witty ‘Back Problems’, a funky affair of the kind he’s shown a talent for before with the likes of ‘Break A Leg’. From a musical perspective ‘The World We Live In’ is a delightful slow blues, though lyrically its passive outlook on life’s travails, and referencing of the afterlife as a comfort, don’t do it for me. ‘Mama Don’t Like No Wah-Wah’, a co-write with guest guitarist Bernard Allison about the latter’s experience playing with Big Mama Thornton, is a bit of innocent fun – riddled with wah-wah, of course – even though it verges on the corny. No such qualms about the closing ‘Trying To Make A Living’ though, on which Zito dons his blues suede shoes to knock out some sparkling rock’n’roll. First Class Life didn’t grab me in the same way as Keep Coming Back, but it’s a grower – and I’m looking forward to seeing Mike Zito and his infectious grin onstage again. 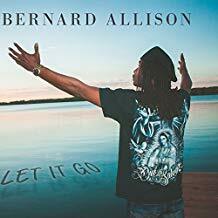 Have to admit I’ve never actually listened to Bernard Allison before collaring his latest album Let It Go, though I’ve been aware of him, and of the fact that he’s the son of Luther Allison – two of whose songs, ‘You’re Gonna Need Me’ and ‘Castle’, close out the album. an intermittent lisp. The following ‘Same Old Feeling’, with its descending guitar and bass figure, gravitates even further towards laid-back, grooving Cray territory. Elsewhere there’s a large dollop of funk in the Allison cookbook, from the loose-limbed bump’n’grind of ‘Backdoor Man’, with occasional injections of groaning voicebox by the sound of it, to the oh-so AWB-like ‘Night Train’ with its ticking rhythm guitar, neck-snapping riff, tripping drums from Mario Dawson, and piercing guitar breaks. 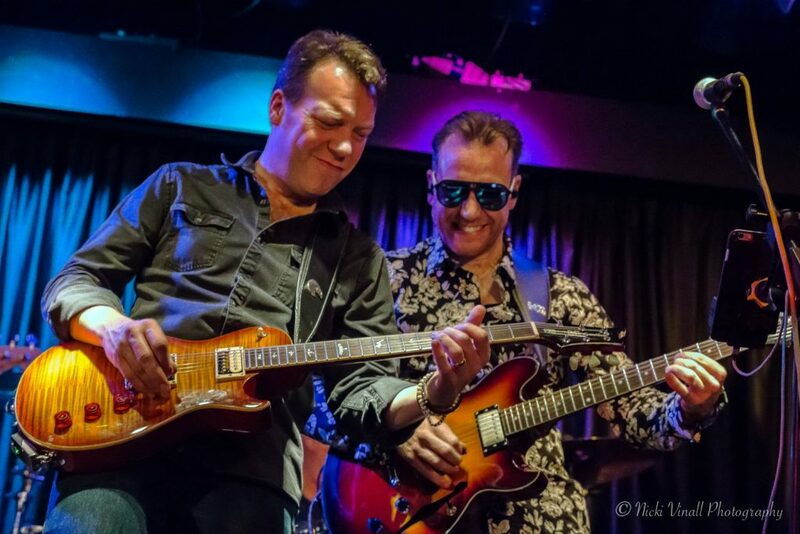 The rendition of Brooks Benton’s ‘Kiddeo’ is finger-snappingly cool and immaculately phrased, with brittle-toned jazzy guitar, and completely blows away Mike Vernon’s recent version. 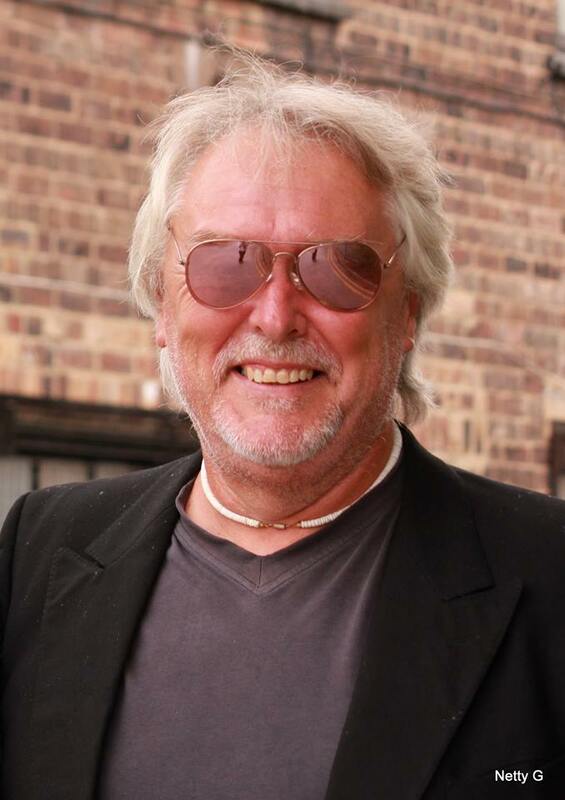 There’s a crunching quality to the riff on ‘Leave Your Ego’, a mid-tempo co-write with fellow Chicagoan soul-blues brother Ronnie Baker Brooks, underscored by a howling solo. ‘Blues Party’ is a straightforward chug-along based on the rather cheesy premise of all the deceased blues greats jamming in Club Heaven, but goofy fun for all that. Much more interesting is the reading of Luther Allison’s ‘You’re Gonna Need Me’, which evokes BB King in both the resonant quality of the vocal and the restrained, pinpoint guitar playing, and would have made a stronger closing track than the rather middle-of-the-road acoustic fare of ‘Castle’. Let It Go could be more consistent, but overall it's an impressive affair, with a sound as good as you might expect from top-flight producer Jim Gaines. 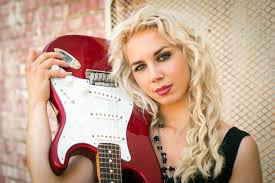 Young Croation guitarist and singer Vanja Sky is very much the junior partner in this company, but she gives a good account of herself on her debut album Bad Penny – boldly opening the proceedings by borrowing the title track from Rory Gallagher. And while you’d have to be a bloody genius to stand comparison with Rory, it has to be said that she gives it a good shot. ‘Hard Working Woman’, or the mellow and lovelorn ‘Inside Pain’ with its tastefully note-bending guitar work. She does waver a bit on ‘Hit Me With The Blues’ though, one of several songs where, once she’s found a hook, producer Mike Zito (yes, him again) allows her to hang on to it like it’s a comfort blanket. 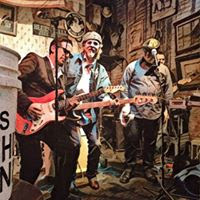 Bernard Allison’s ‘Low Down And Dirty’ is a high-energy good-time blues romp though, with both Zito and Allison (uncredited) contributing on vocals. I wouldn’t be surprised if Zito is also at least partly responsible for the bonanza of slide playing on the track, but if it’s all down to Ms Sky then full marks for that. I certainly expect that it’s a popular party piece when the three of them play together live on Blues Caravan duty. ‘Give Me Back My Soul’ may not be very imaginative, but it’s still a well-delivered slice of strutting ‘I know it’s only rock’n’roll but I like it’ stuff. ‘Do You Wanna’ essays a promising bit of offbeat funkiness, and confirms that Sky knows more than one way around the fretboard. Lyrically it might be primary school stuff but hey, I’ll cut her some slack this time around. The quality control department should really have kicked the likes of the Girlschool-ish ‘Don’t Forget To Rock N Roll’ and the plodding ‘Crossroads Of Life’ into touch. Still and all, with quality backing from the likes of Terry Dry (yes, him again too) and Dave Smith on bass, Matthew Johnson and Yonrico Scott on drums, and Lewis Stephens on keys, there are enough positives in Bad Penny to suggest that Vanja Sky has the potential to develop further. Reviewing Ben Poole’s previous album Time Has Come back in 2016 for The Blues Magazine, I suggested that while it had strong points, some of the songs were slight, the boyishness of his voice could become wearing, and the time had come for him to find more of his dark side. So it’s encouraging to find that on Anytime You Need Me he’s taken a big step towards addressing those issues. A tough, choppy guitar riff sets the tone on the opening title track, and as the song progresses Poole’s voice leaves behind his more winsome tendencies and gets into grittier territory, which he underlines with a couple of satisfying guitar solos, the first brief but edgy, and the second squealing. And already, it has to be noted, the sound delivered by producer Wayne Proctor and his House Of Tone buddies is excellent, especially in relation to Proctor’s drums. Poole uses fuzzed up guitar tones to good effect on several tracks, kicking off with the interesting riff on ‘Take It No More’. 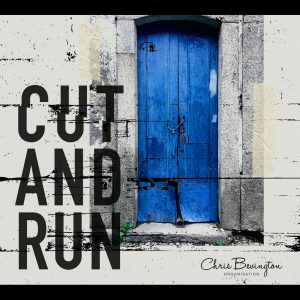 It’s followed up mid-album by ‘Further On Down The Line’, on which squelchy guitar riffery crunches along over a twitching rhythm and a deep bass groove from Beau Barnard. And then on ‘Let Me Be’, the fuzzy guitar gradually pulls Barnard’s resonant bass foundation to the fore, and along with a few filigrees in the arrangement enlivens what might otherwise be a somewhat tame song. At the centre of the album all concerned do a sterling job on a cover of Don Henley’s ‘Dirty Laundry’. Poole is again in a key that allows him to produce a bit more dig vocally, and he adds a suitably dirty guitar sound on his solo. It’s a song with plenty of punch all round, and which could point the way for Poole in the future, with a caustic lyric that goes beyond the personal and engages with the wider world. They follow that up nicely with Jude Cole’s 80s hit ‘Start The Car’, getting funky with throbbing bass, organ fills from Ross Stanley, guitar licks flickering between the lines of the second verse to add variety, and ultimately a stinging, wah-wah-fied solo from Poole. ‘You Could Say’ is a confection with a lot going for it, in the form of a sweetly jangling riff that recalls Stevie Nimmo’s ‘Lovin’ Might Do Us Good’, some cleverly shuffling rhythms from Proctor, and a catchy pop melody. But it does find Poole back reverting to lightweight vocal mode, and it’s as well that he thickens it by adding his own harmonies. He comes up trumps with a couple of ballads though, with ‘Found Out The Hard Way’ and ‘Don’t Cry For Me’ representing twin highlights. The former is patient and expansive, with a pleasing melody and subtle guitar work. In fact it’s subtle all round, in a very Aynsley Lister-ish way, and Poole serves up a rousing solo on the outro. 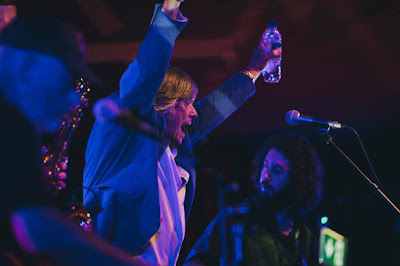 The latter, penned by Proctor’s compadre Steve Wright, is a soulful slowie of beguiling simplicity, and becomes a platform for Poole to confirm the kind of guitar playing promise that he showed on his Live At The Albert Hall live album. Giving Poole the room to breathe on these tracks proves well worth it. The album closes with ‘Holding On’, which with its rumbling, ominous intro aspires to something more epic. It would benefit from Poole offering a stronger, more emphatic vocal, but it does go through the gears a bit halfway through, and develops an impressive head of steam as a finale. Ben Poole may not have struck gold with Anytime You Need Me, but it is a big stride forward from him, in terms of songwriting, vocals, and all round performance. It speaks of lots of hard work with his co-writers Wayne Proctor and Steve Wright, and shows that he does have the capability to fulfil the potential shown on his live album. The boy done manned up a bit, and it suits him. Anytime You Need Me is released on Manhaton Records on 14 September. King King drummer Wayne Proctor talks about producing Anytime You Need Me here. For an R’n’B band led by a harp player, Little Boys Blue have a remarkably mellow sound – don’t expect to hear JD Taylor start blowing up a typhoon anywhere on this album. 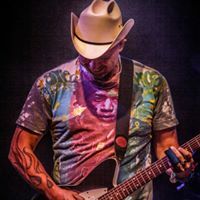 From Jackson, Tennessee, they have a soulful, understated style, at times lightly funky in the manner of Albert King’s ‘Born Under A Bad Sign’, and on early listens I wondered if they would ever find top gear. But with repeated spins I began to appreciate that there’s some subtlety at work here. rich voice and phrasing, and especially for the guitar playing on display throughout. Sometimes playful, sometimes Peter-Green-fluid, I’m guessing the fretwork is largely the work of special guest John Holiday, aka Kid Memphis, though there are also guitar credits for Alex Taylor and Andrew White. Right from the start, on ‘Six Foot Down’, the control is evident in the steady back beat, Taylor’s soulful singing, and the way they slowly build a mounting pressure. There’s a hint of ‘Green Onions’ in the B3 of Dave Thomas on ‘Loving Kind’, and they show the ability to deliver something slower and more contemplative on ‘Blues Bug’, then a cool, measured strut on the edgier title track, with its neat, rolling guitar riff and warm piano. They get more uptempo on ‘Morning Train’, with its subliminal air of ‘It’s Your Voodoo Working’, before toughening up on ‘Cold Inside’, with Dave Mallard’s swinging bass bumping along to good effect. 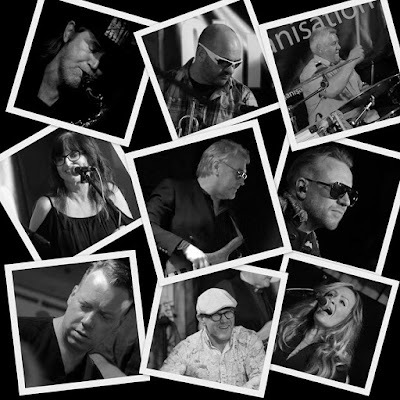 ‘Might As Well’ serves up a jump blues vibe – and I do like a bit of decent jump blues - with barrelhouse piano from Thomas and a call and response chorus from Taylor and the band, while ‘Got A Mind Of Your Own’ dials up the funk. 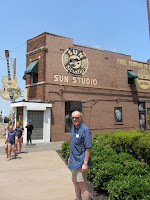 ‘If The Blues Start Calling’ is a slow shuffling groove, with gritty harp from Taylor and some tasty slide into the bargain, and the closing ‘Going Back To Memphis’ is a more rootsy, chugging affair. Hard Blue Space may not give you an adrenaline rush, but if you fancy the idea of an R’n’B band laying back and leaving each other lots of space to participate in bluesy musical conversation, then Little Boys Blue may be your bag. Personally I’d like a pint of Mississippi moonshine added to the mix, mind you.